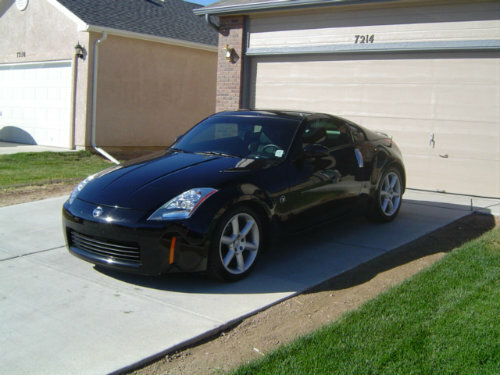 In 2005 I traded in my 2003 Mitsubishi Evo 8 for a 2003 Nissan 350Z. So glad to be out of the DSM lemon and into a sport car! Front engine, rear wheel drive is the only way to go! 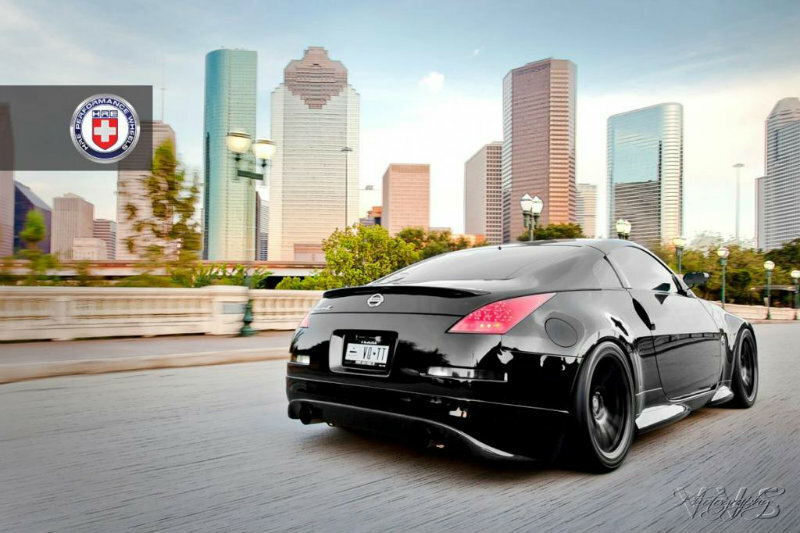 At the time I was stationed in Colorado and the elevation killed the naturally aspirated VQ35DE power. 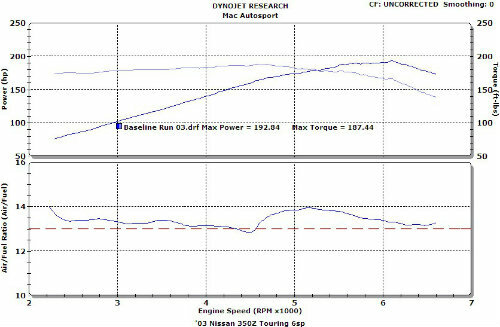 Dyno results showed a 30whp lost due to the elevation. Only way to overcome this power loss was a power adder… Or two. In 2008 I went with the JWT 700BB Twin Turbo kit sporting the famous Disco Potato GT2860RS turbos. Funds were limited so I stuck with the stock block. End result was an average of 420whp and 400wtq at 10psi. 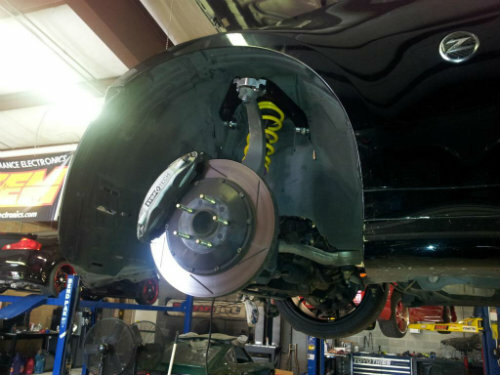 To help stop the extra power StopTech ST40 & ST22 big brakes were added. 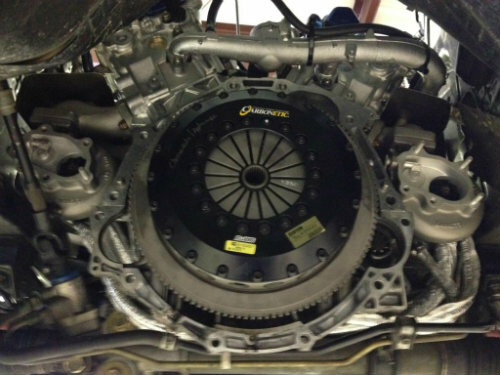 A JWT clutch and flywheel was selected to take the boost abuse and a TurboXS UTEC for tuning. 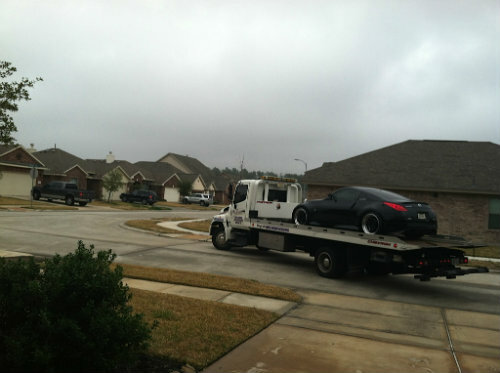 In July of 2010, back home in Houston, the OEM 2003 weak transmission finally give out and I lost third gear on a fun run. Funds were ever more limited so I parked the Z. I told myself I wouldn’t fix the trans unless I was ready to build the block at the same time. A lot of reading, telephone calls and, research ensued. 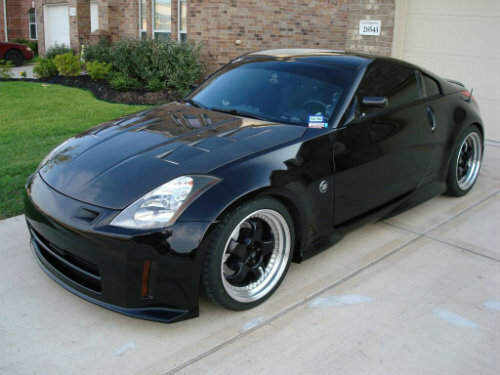 December 2011 I called Bryan at PowerFab Automotive and told him I’m ready. 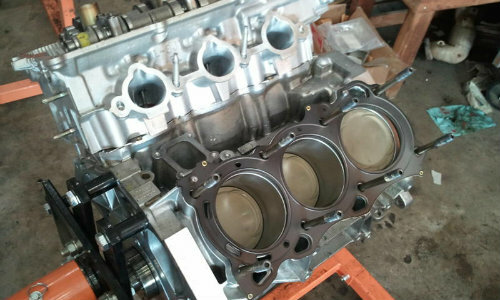 Kyle and Brett at Import Parts Pro were next and an IPP Stage 3 VQ35 long block sporting; PolyDyn coated CP 8.5:1 pistons, Cosworth Rods, JWT C2 cams, ARP L19 rods and bolts, heads & valve job and, all other supporting parts was purchased. As time passed more and more was added. The UTEC had served it purpose but was very dated. HalTech released their full ECU replacement Platinum Pro Plug-In EMS and I knew that was the only was to control & tune the new engine. The JWT clutch just wouldn’t take the abuse of the extra power so a Carbonetic Twin Disc and flywheel was chosen. The OEM LSD was good but I wanted the best and so a Quaife diff went in. 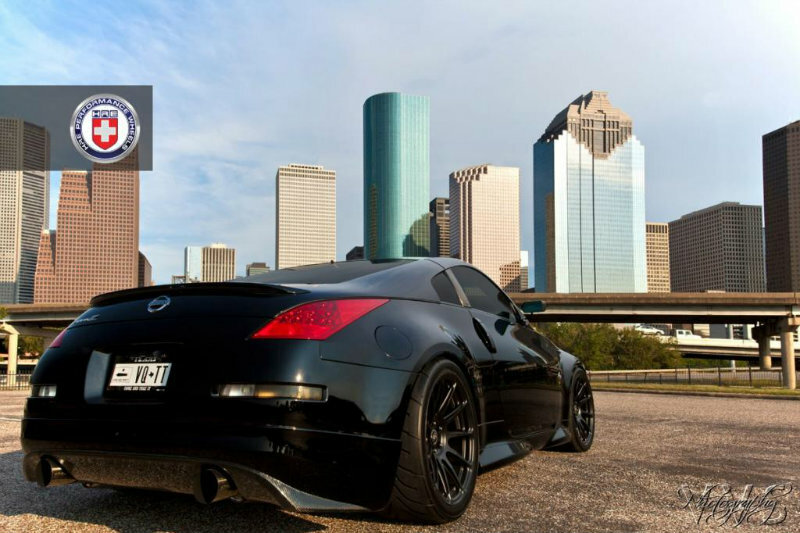 Since I have ambition to run the Texas Mile the taller 350Z auto, 3.3 final drive gear replaced the six speed manual’s 3.5 ratio. UTEC coming out. HalTech going in. Heat is always a problem in Houston and I didn’t want to worry about it. The Nissan Pathfinder cooling mod was installed on the block, a Koyo oversized radiator was already installed and I had everything PolyDyn coated. All piping, the down pipes, exhaust manifolds and, turbine housings. To finish off the exhaust I went with the Greddy RS catback. The Hotchkis springs were another item that have served their purpose and I wanted the best again. KW V3 coil overs were installed with SPL camber arms and links. I retained the Hotchkis adjustable sway bars. 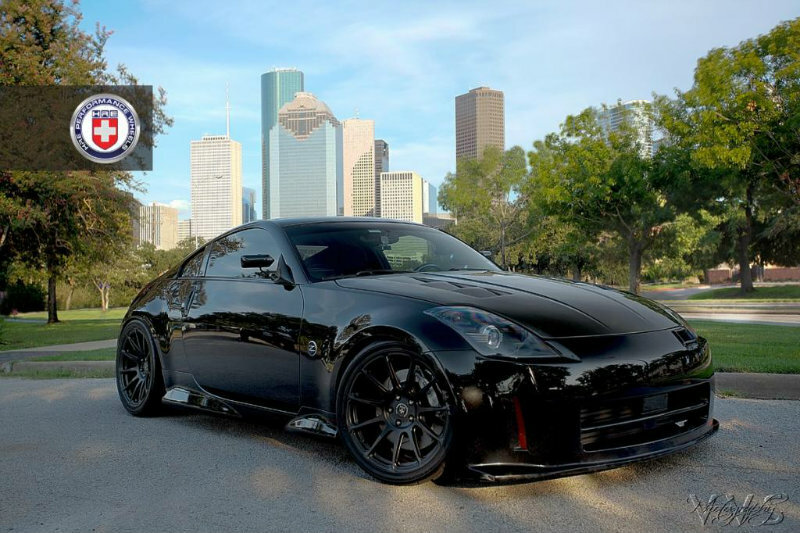 As far as the body components, the Z went to PowerFab with an AeroSync N1 front, Seibon TS carbon hood, Nismo sides, CraftSquare mirrors and, Seibon TT carbon rear lip. OEM 2006 LED tailights were already installed as well. A Seibon TT carbon rear spoiler is waiting to get installed. OEM 2006 Bi-HID headlights were sent directly from Courtsey Nissan to Ceasar at LightWerkz. The headlight housings were painted a flat black. The HID shrouds were left silver and a LED halo-ring was added beind. JDM STi lenes were added along with 6000k bulbs. Interior is pretty much stock. Defi boost & fuel pressure gauges along with a dual wideband gauge are installed on the pillar. 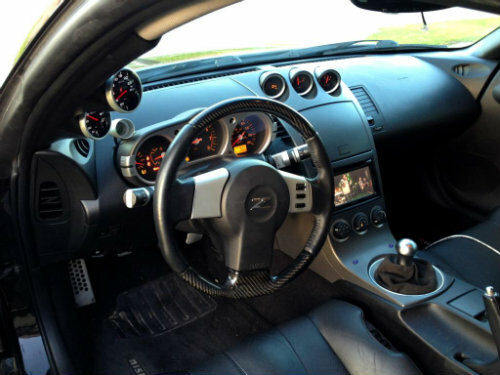 A custom OEM carbon fiber steering wheel was added. A Pioneer Avic headunit, JL Audio componets and 10" JL W3V3 powered by a JL 500/5 amp provide music and movies. To finish the car I wanted new wheels. I had been researching a lot of different wheel companies to replace my WORK Meister S1s. I wanted a custom offset and I wanted the best in the industry. 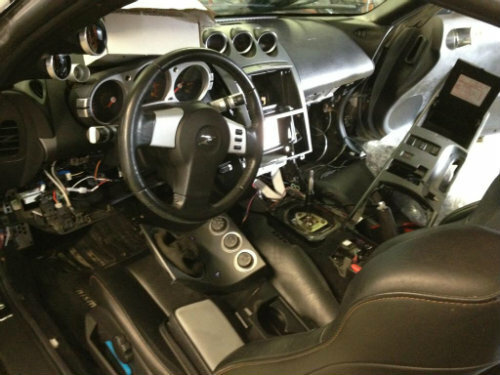 So I made contact with Tony at Deviate Motoring. I knew I didn’t want a three piece wheel again and that a mono block was my only route. 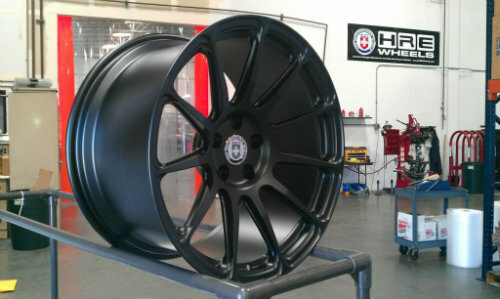 I place an order for 19" HRE P43SC wheels wrapped with Toyo R888 R-compound tires. Car is currently about 95% finished. 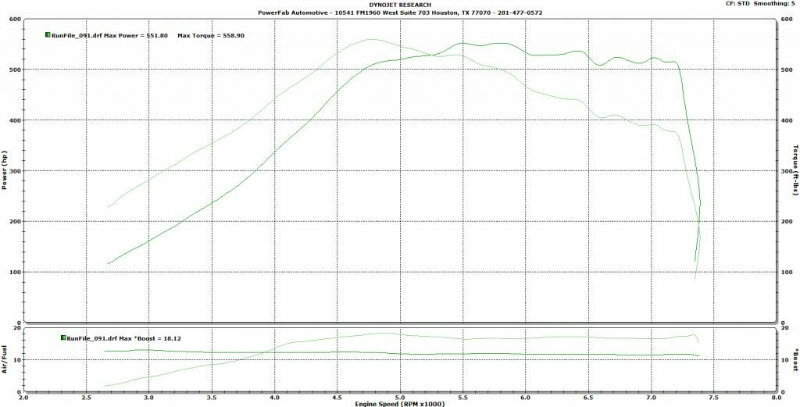 Pump gas results were 551whp & 559wtq at 16.5psi. Waiting on Shell to release their updated URT Advance unleaded race fuel for race gas tuning. Richey’s Collsion are in talks with a new shade of black paint. Steve from Executive Auto Detailing was used to detail the car before the Visual Velocity-Studios photo shoot. WOW! that is quite the success. Good work! ...One question for you- how is power at about 1.4k rpms? I have a ST setup and I have excellent drivability, and can easily cruise 6th gear at 40mph, or about 1.4rpms, with decent power..
Before the build daily driving was nice. I'll be home in January and will let you know. Not to be rude but if you read everything, all my mods are mentioned. I have the Greddy exhaust. Also I don't understand; "i don't think you've ran through your exhaust setup anywhere?" 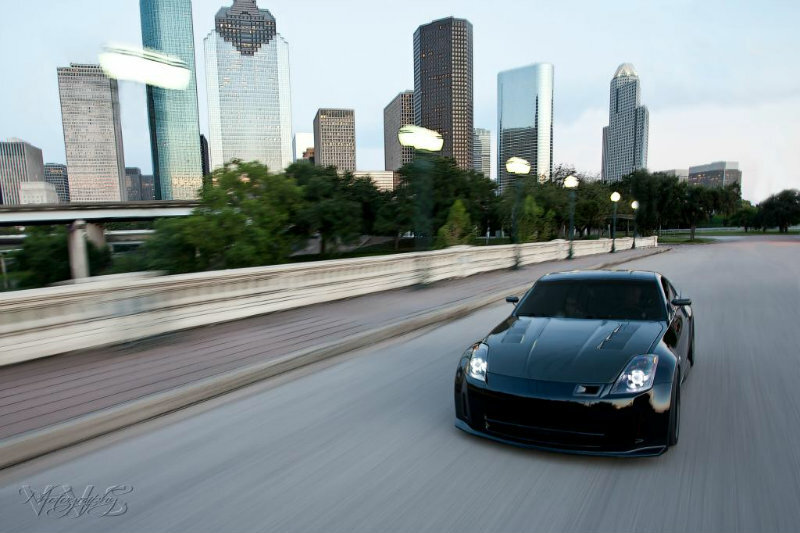 Black on Black is boss, must be fun driving that thing around town. Going to find out hopefully in 30 days!